Bailieborough News. January 14th 2019. Matthew J. Cullen. “Bailieborough Vetinary Clinic raised a total of €625 from their annual CSPCA Dog Walk. This was achieved by donations and sponsorship cards promoted by our dedicated walkers. A special thanks to ‘Daybreak’, Barrack St, for kindly donating refreshments and to ‘Graeme’s Groom Room’ for donating spot prizes. Looking forward to 2019 to our 18th year of walking our four legged friends for this worthy charity, the Cavan Society for the Prevention of Cruelty to Animals. The ‘Mince Pie’ Charity Walk in memory of Fintin Reilly (who passed away in January 2018) and was held on Saturday, December 29th raised €2,070 for Drumlin House. Many thanks to all who participated or helped out in any way to raise this terrific amount. There will be free recycling of real Christmas trees during the month of January. The Shamrocks Underage Presentation is taking place on Saturday next, 19th January at 5pm in the Community School. The Special Guests on the evening are none other than the 2018 Cavan Senior Football Captain, Dara McVeety and the 2017 Captain, Killian Clarke. What a treat for all our Underage teams, Mentors, parents and our whole GAA Club. Looking forward to seeing everyone there on the day. Lotto results for 12-01-2019. Numbers Drawn; 4, 9, 22, 26. No Jackpot Winner, Lucky Dip (€25) Winners; Teresa Cooney; Gavin Mackey; John Reilly; Oisin Sheridan. Next week’s Jackpot €2,500. Deepest Sympathy is extended to daughters,Alison Rountree (Canningstown), Joyce Leinster (Fartadreen, Bailieborough) andLesley Shepherd (Wicklow Town), sons-in-law, grandchildren and great-grandsonson the death of Thomas Edge in his 94th year, peacefully, at St.James’s Hospital, Dublin surrounded by his family. Late of Wellington Road,Dublin and Bailieborough, Co. Cavan. Thomas’s Funeral Service took place in AdelaideRoad Presbyterian Church, Dublin on Saturday, January 12th with burialafterwards in Urcher Graveyard, Bailieborough. 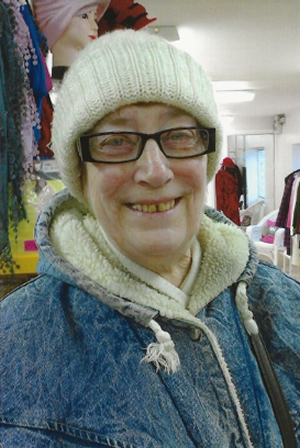 Marian Parker (nee Kelly), Tandragee, Bailieborough, Co. Cavan, died 25th December 2018 at Cavan General Hospital. Deeply regretted by her neighbors & friends. “Safe in The Arms of Jesus“ Reposing at Clarke’s Funeral Home, Bailieborough on Thursday from 1pm until removal at 1.45pm to arrive at Bailieborough Parish Church for Funeral Service at 2pm. Burial afterwards in adjoining graveyard. Senior’s Bridge takes place every Tuesday evening at 8.00pm, in the Hotel Bailie. Everybody welcome. The first of the 2019 ‘Open Door Sessions’ will take place at 9.00pm on Friday next, 18th January, downstairs @ Nixy’s, The Square Bar, Market Square, Bailieborough. Music from ‘The Fieldmice’ and Brían Farrell. Art by/Interview with Sharon Maher. Donations voluntary and all welcome. ALPHA Course – Bailie Hotel 8.00–9:30pm. Bailieborough 10:45am – Morning Prayer and Sunday Club, followed by tea and coffee. Thanks to all the people that came out during last week and took down the Christmas lights. Thanks to Charles and Richard for the teleporters. Next event up is Ireland’s favourite, ‘St Patricks Day’. New ideas and volunteers welcome. If interested, please contact any committee member. Bailieborough Community Bowls resumes on Wednesday, January 16th and every Wednesday evening thereafter at 8.00pm, in the Community Centre, Chapel Road. New members most welcome with free tuition for beginners. The following are the available dates for Baptisms in St. Anne’s Church–January 26th (Saturday, 1.30pm), February 10th (Sunday, 12.30pm), February 16th (Saturday, 1.30pm), March 3rd (Sunday, 12.30pm), March 24th (Sunday, 12.30pm), April 6th (Saturday, 1.30pm), April 20th (Saturday, 9.00pm) and April 28th (Sunday, 12.30pm). Five week course commencing Monday 28th January in Virginia Show Centre and Friday 1st February in Mullagh Hall. 8.30pm start. No partner needed. Booking not required. Further details contact 086 1928568. Great start to the new year of hurling! Our U7s had the privilege of starting us off with the first round of blitzes in Dundalk on Sunday last. Some great hurling with some of our lads playing their very first games for us. Five good games v Blackrock, Knockbridge, Clonduff, Newry and Ballyvarney. Getting games against Louth, Armagh and Down clubs will only bring our lads on even more. Special thanks to our player’s parents for making the long drive over. Without your support these games don’t happen. Thank you. Next week it’s the turn of the U9s with the U11s the following week. Training returns this coming week. Thursday in Kingscourt Community Centre from 7-8pm and Friday in Bailieborough Community School Sports Hall. U7/9 from 6-7pm and U11 from 7-8pm. New players very welcome from the entire region. 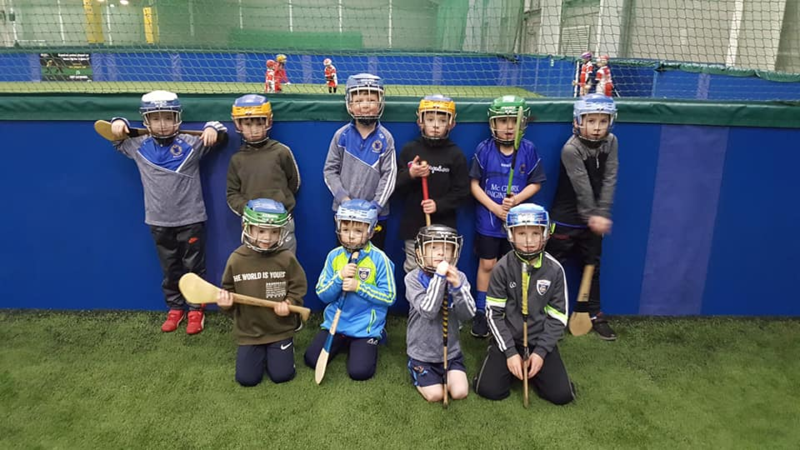 Above; Our U7s in Dundalk on Sunday last. Senior; Training will resume soon. Players will receive a text. Bailieborough Cancer Comfort Ltd: The Bailieborough Cancer Comfort Ltd Committee is available to help cancer patients or their families. Free Taxi service available. For further information, contact: Edel Fox 086 1004030.
http://bailieborough.com/wp-content/uploads/2015/09/bborocomlogo2015-300x130.png 0 0 Lee McDonnell http://bailieborough.com/wp-content/uploads/2015/09/bborocomlogo2015-300x130.png Lee McDonnell2019-01-16 15:01:412019-01-16 15:01:44Bailieborough News. January 14th 2019. Matthew J. Cullen. Bailieborough News. December 10th 2018. Matthew J. Cullen. Bailieborough News. January 21st 2019. Matthew J. Cullen.